Leading telecommunications and SCADA network supplier, EMR Integrated Solutions today announced the completion of network infrastructure upgrades at nine windfarms across the UK and Ireland. The projects were carried out for Greencoat UK Wind, a FTSE-250 listed renewable infrastructure fund, invested in operating UK wind farms. The service provided by EMR involves auditing and upgrading windfarm communications infrastructure to ensure that Greencoat has full visibility and control over its assets in the field. “I have confidence in EMR as a trusted partner,” said Javier Serrano, asset manager with Greencoat UK Wind. “We’re an investment house, not an IT company and so we have to rely on a network of trusted partners who are our eyes and ears on IT issues. Our success is based on EMR’s ability to understand our needs and the agility to execute on those needs,” he said. Greencoat’s asset portfolio currently consists of 29 windfarms ranging from sites such as Slieve Divena in Co Tyrone to Maerdy in Wales, capable of generating hundreds of Megawatts of power output every day. The scale of communications upgrade required varies from site to site with the largest project completed at Screggagh in Co Tyrone, as Alan Feenan, sales director with EMR Integrated Solutions explains. “At Screggagh, we replaced the entire telecoms infrastructure including microwave links, firewall technology which provides protection and monitoring capability, WAN routers and SIP telephony. 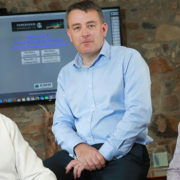 We liaise directly with Greencoat’s customers, primarily Northern Ireland Electricity and SONI, ensuring that their SCADA systems can see their windfarms on the power grid,” he said. EMR also provides a monitoring and management escalation service if problems occur. With remote monitoring capability, outages can be escalated to the appropriate service provider for swift resolution. As an active, long-term investor Greencoat’s portfolio continues to grow and the company is committed to further building its asset base into 2018. Its most recent acquisition in November 2017, involved the purchase of an 80% stake in five wind farms from EDF Energy Renewables (“EDF ER”) for a total consideration of £98 million bringing its net generating capacity to 694MW. 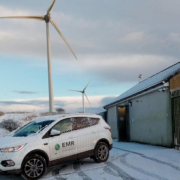 EMR’s service expansion to the UK continues apace, and follows the completion of a custom-built, energy management system for demand-side aggregator, Powerhouse Generation in Northern Ireland.